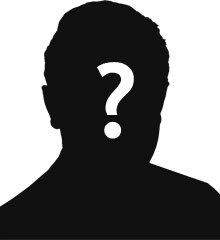 George Harper was the son of William and Martha Jane Harper of Corcreevy, Fivemiletown, Co. Tyrone. He was born in Erigall, Tyrone about 1894. The 1911 census records 7 year old George living with the family in Corcreevy, Fivemiletown, Co. Tyrone. His father William had died. George Harper enlisted in Fivemiletown. He embarked for France on 20 August 1914 as part of C Squadron, North Irish Horse. 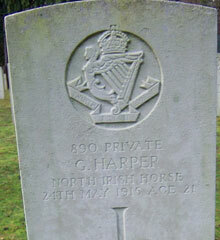 Private George Harper was serving with the North Irish Horse when he died in England age 21, Monday, 24th May 1915.